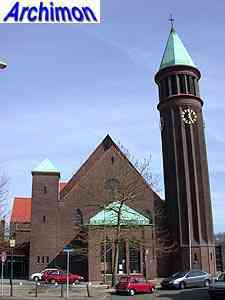 This was the last of the churches French monk and architect Bellot built during his stay in The Netherlands. 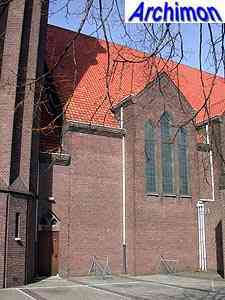 After this church Bellot moved back to France and handed his office over to his assistent Van de Leur, who continued designing in this style for several years. 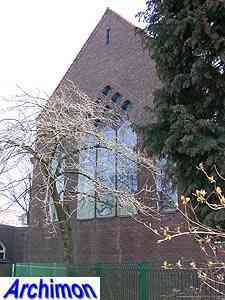 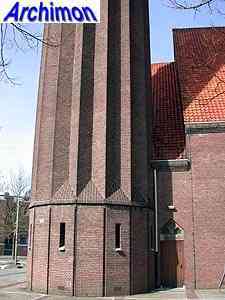 It's not unlikely that Van de Leur was responsible for much of this church's design already. 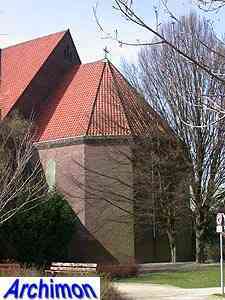 It's a building in moderate expressionistic style, at least from the outside. 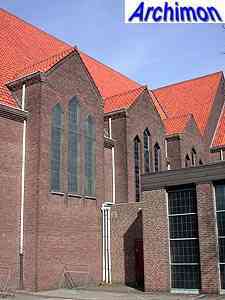 The interior is more expressive, although for a Bellot design it's remarkably colorless. 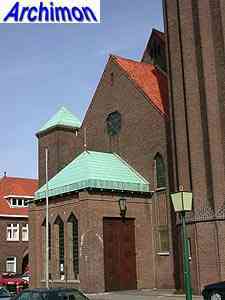 The brick vaults were not added until 1953-1954 and were not designed by Bellot. 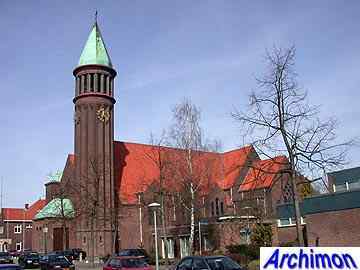 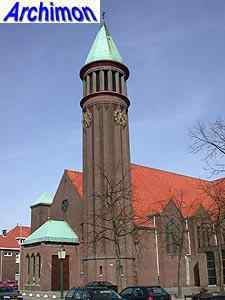 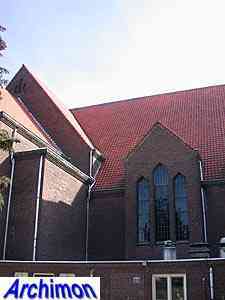 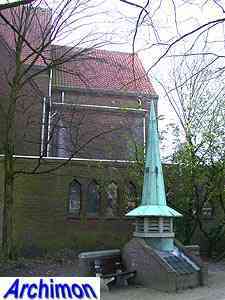 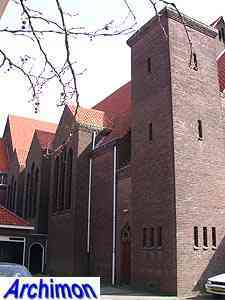 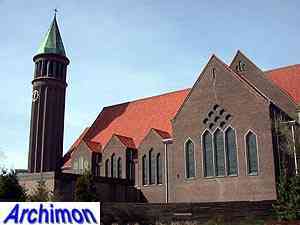 Notice that the tower of this church is very similar to that of the church in Waalwijk Bellot had designed and that had been built four years earlier. 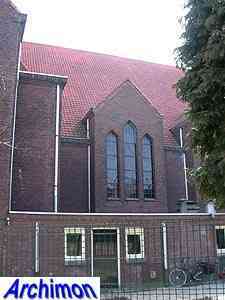 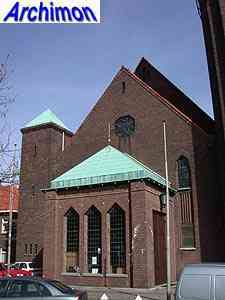 The current entrance was added in 1951 by architect Jos. 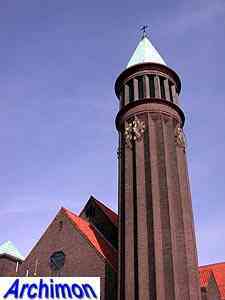 Bedaux.